To get started, download our company team kit for more information. Every year, in communities across the country, thousands of people Wage Hope at PurpleStride, the walk to end pancreatic cancer. With more than 50 events nationwide each year, PurpleStride is one of the largest sources of funding for the Pancreatic Cancer Action Network. Please join our movement by creating one or more employee teams to participate in this inspiring event! Provide incentive prizes for the individual and/or team that raises the most money. Recognize team captains and top fundraisers online and in the office. Provide space for team meetings. Engage company leadership to walk with employees — great for visibility and morale! Promote the event on company bulletin boards and newsletters. Natural opportunities for friendly competition between branches, departments, offices, etc. Thank you for joining PurpleStride, the walk to end pancreatic cancer! 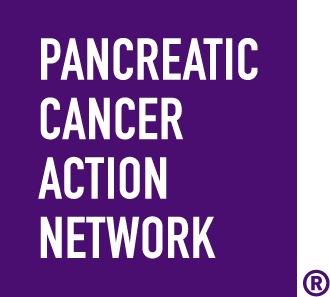 Your company team can help people impacted by pancreatic cancer by fundraising to support our programs to improve outcomes and find better treatment options. And we are here to guide you every step of the way. Include a notice in the company newsletter. Offer an incentive for all who join. Host a social gathering for early recruits and ask them to bring a friend. Send regular email or newsletter updates reporting progress. Post ads on the company intranet. Distribute a press release announcing the company’s involvement. Offer incentives for team members to fundraise and recruit additional participants. A few ideas: Jeans day, lunch with the CEO, paid time off, gift cards. Get creative with your rewards for fundraisers! Use a simple spreadsheet to track participants progress. Designate a meeting spot in advance. Encourage your team to get out the purple in a unique way (e.g. sunglasses, wigs, or socks). Print customized company sign to carry proudly at the event. In addition to top team benefits, teams can also qualify for Passion or Elite Team status if fundraising minimums are met. Check the Team Benefits Page for full details. Choose a team name and fundraising goal. Show us why you stride with your team name, and let us know how much you can raise to end pancreatic cancer! Don't forget to choose your company from the dropdown list. If your company is not in the list, please contact corporaterelations@pancan.org for assistance. Invite friends, coworkers and family to join you! Email, Facebook or tweet everyone you know and invite them to race and fundraise with you. You can use the PurpleStride App to send recruitment messages, and you can also send template messages through My HQ. Some of our most successful fundraising teams have reached big fundraising goals by hosting a wrap around event in addition to asking friends and family for donations. Sports tournament. From dodgeball to volleyball to golf, the possibilities are endless. Lemonade or Hot Cocoa Stand Get the neighborhood (or your office!) involved by offering refreshments for a small fee. Customize by season!